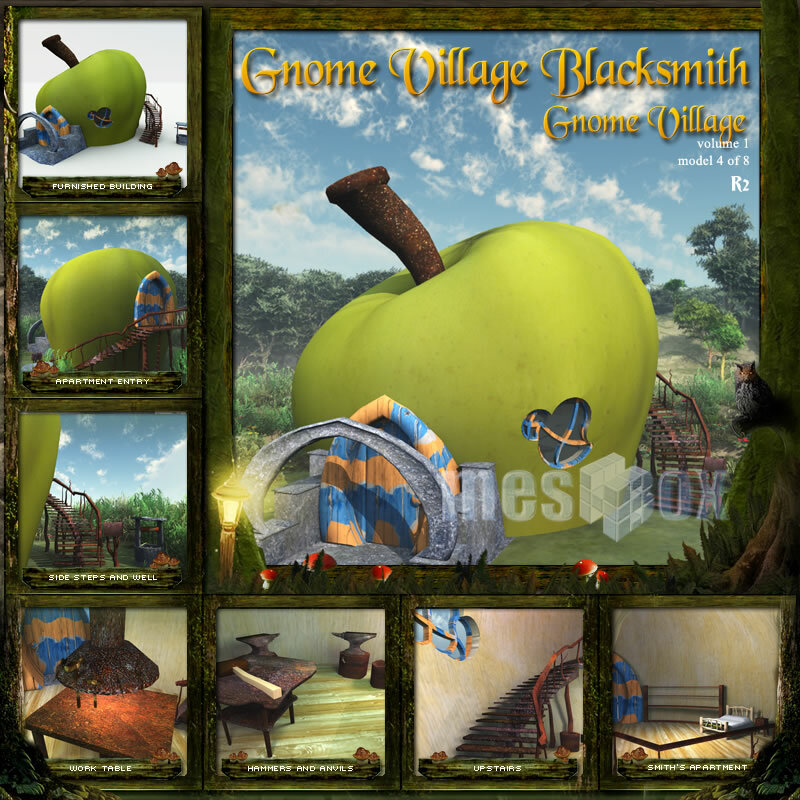 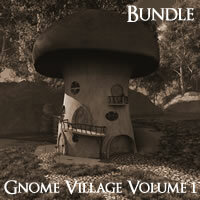 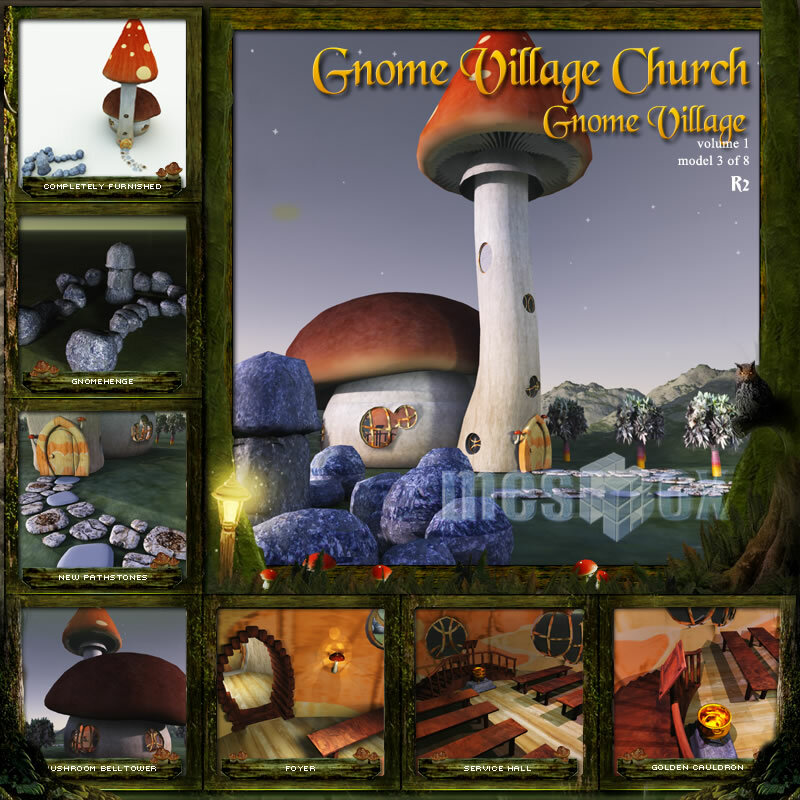 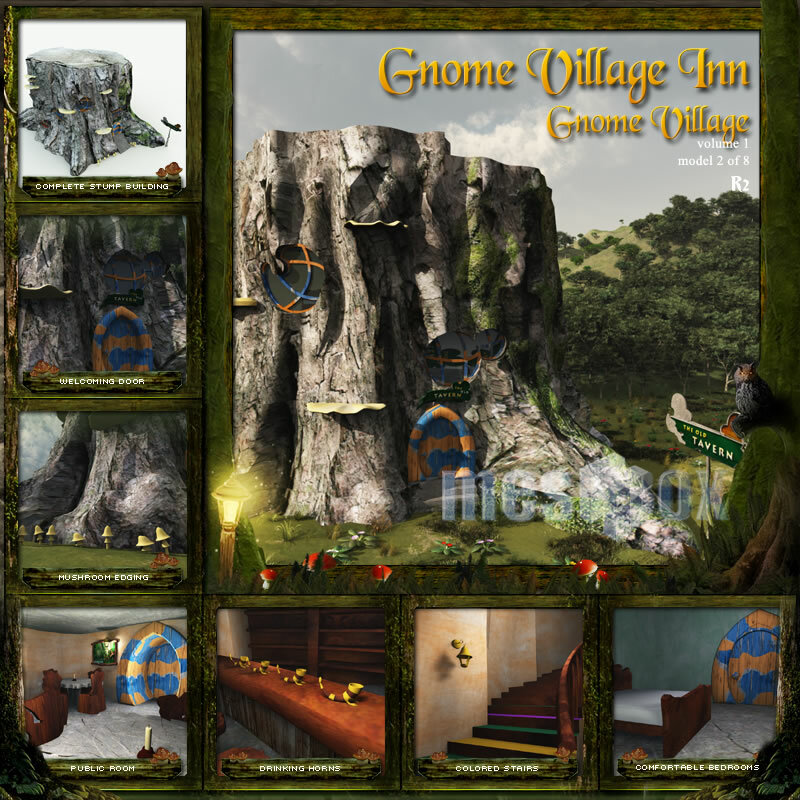 Gnome Village Volume 1 R2 is a set of models based on the mythical civilization of gnomes - small folk of the forest that repeat combinations of natural themes with fantastic colors throughout their architecture. 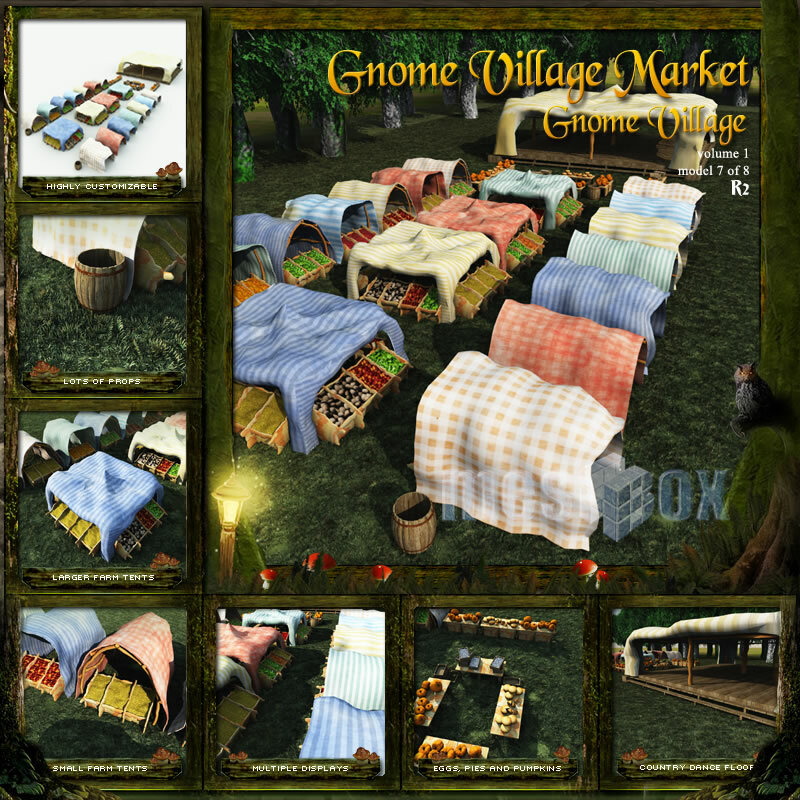 This R2 updated version includes all new geometry, furnishings and more. 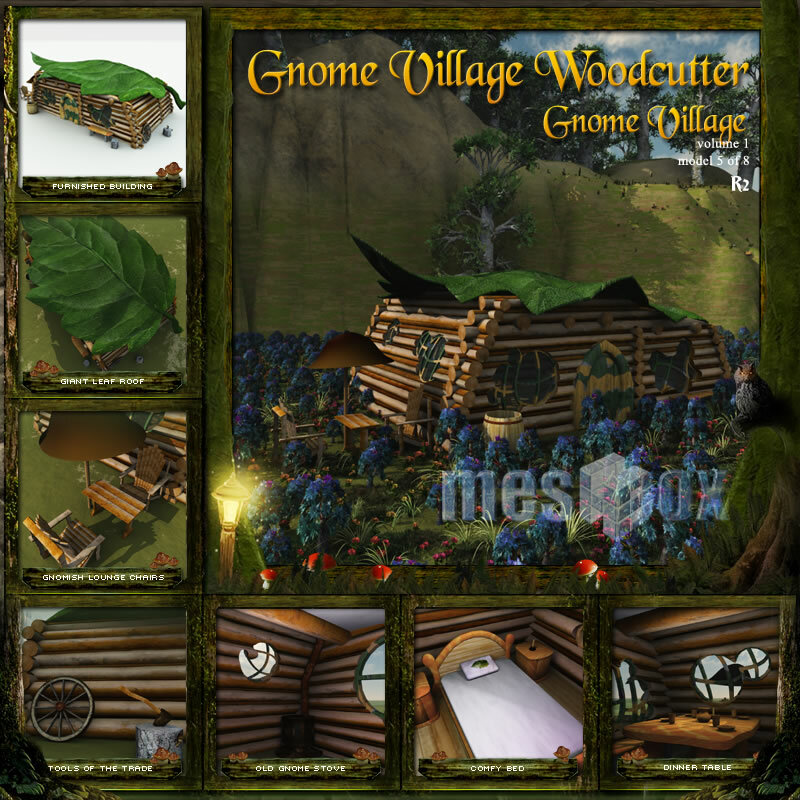 This model set is available in multiple versions. 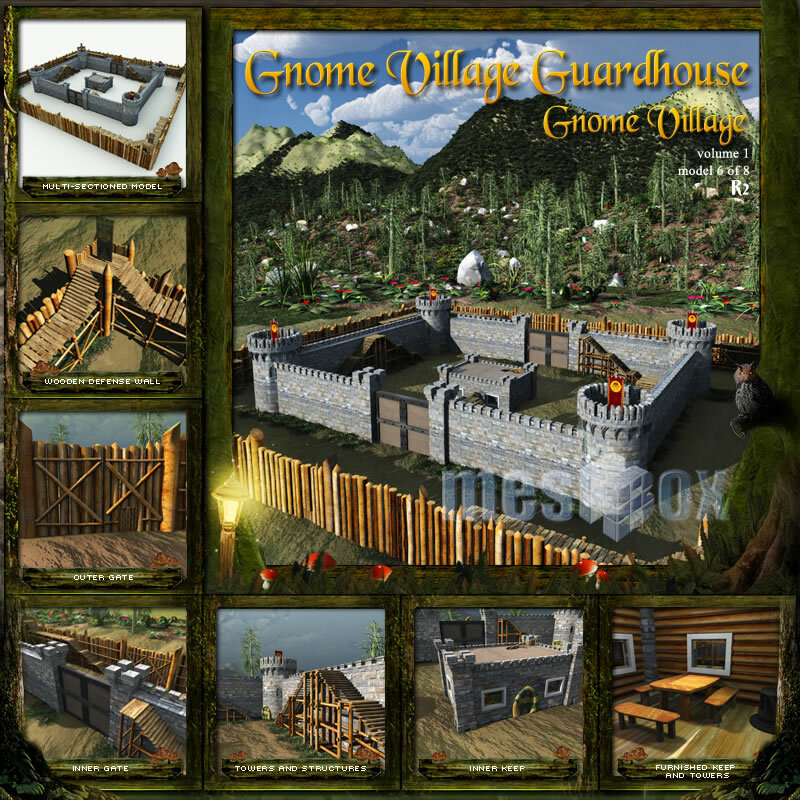 The Pro version includes the Meshbox Pro License, which allows inclusion of the geometry in games and simulations. 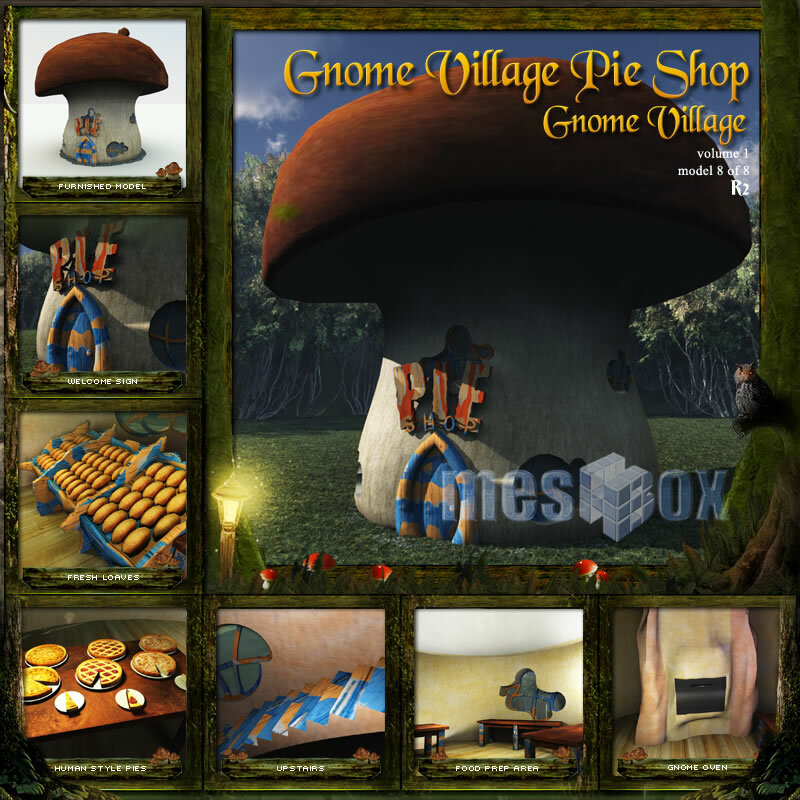 All versions purchased through Mirye Store or Meshbox Design include a 3DS Version. 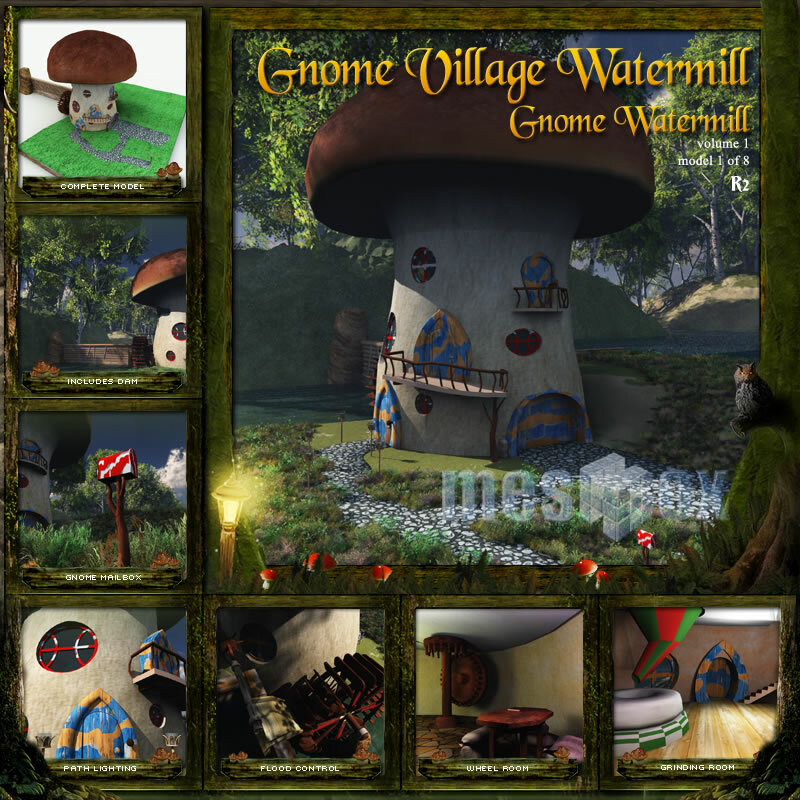 This model is ONLY available in the complete edition and not sold separately.